Among the assets that Nokia purchased with its Alcatel-Lucent acquisition include the MDR-4000 family of high-capacity digital radios. Worldwide Supply offers both used Alcatel-Lucent MDR-4000 classic and enhanced models that are designed to operate as a cost-effective alternative for reaching speeds of up to 135 Mbps for data and digital voice. Today, Nokia provides only limited support for used Alcatel-Lucent MDR-4000 models because it has been discontinued and reached its end of life. Limited coverage includes both the MDR-4000E and enhanced MDR-4000, which are high-density — 1, 2 and 3 DS3 options — microwave radios with wayside DS1 capacities. The Alcatel-Lucent MDR-4000 classic is a digital radio family that is renowned for its economical nature and decades of reliable service. Classic radios operate on most bands from 2 GHz to 11GHz, so they’re a good fit for most networks and applications both domestically and internationally. Each radio in this family can be upgraded with an expandable traffic-carrying capacity of 1, 2 or 3 DS3s. The units are mid- to high-capacity models, covering from 672 to 2016 voice channels, so they’ve been well adopted as spur and backbone routes. 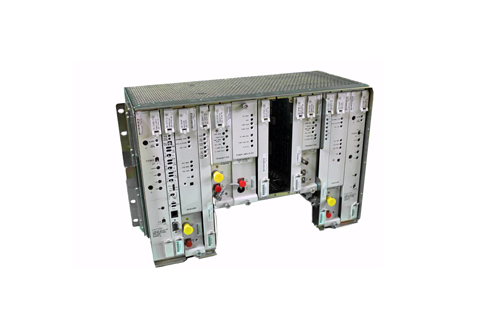 The refurbished Alcatel-Lucent MDR-4000 enhanced also operates in the 2 GHz to 11 GHz bands, using many of the same RF and IF modules as the classic. The main change is an improvement in modulators, demodulators and the service shelf. Get forwarding error correction, an industry-high fade margin, automatic power controls, integral optional M13 multiplexer (muldem) and more with Worldwide Supply.